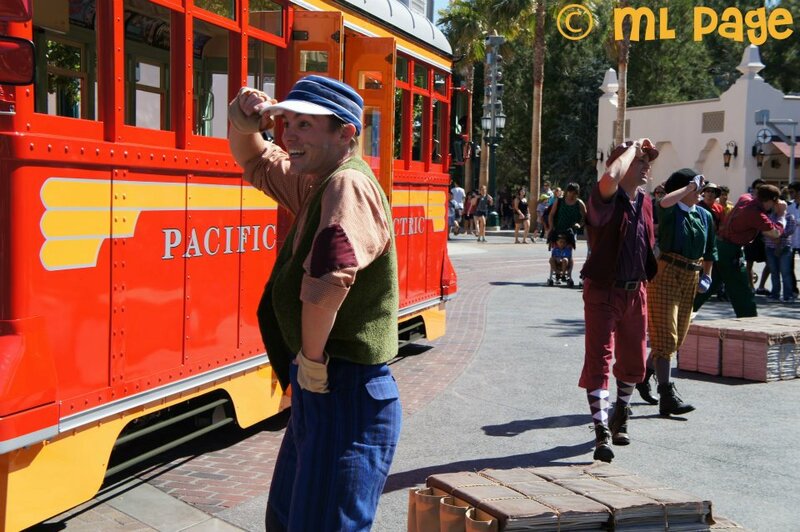 Expect lots more Newsie love here on Picturing Disney... but this seems the best place to start. 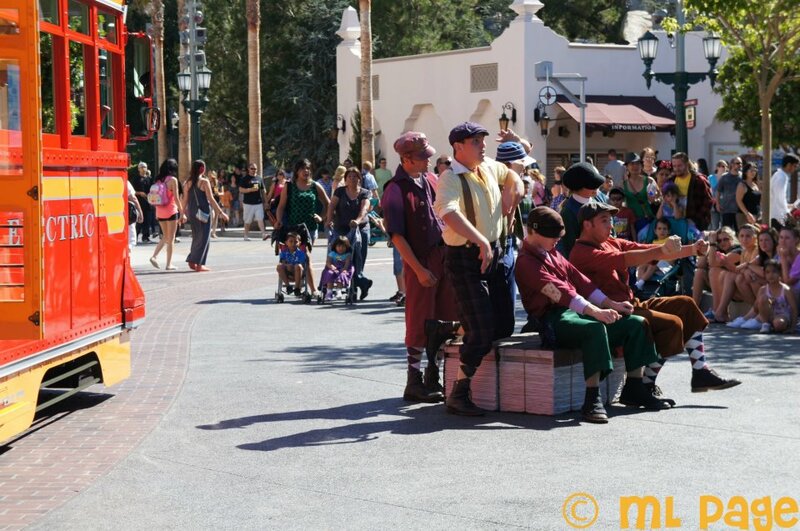 The Red Car Newsboys are probably my favorite street performers I have ever seen. 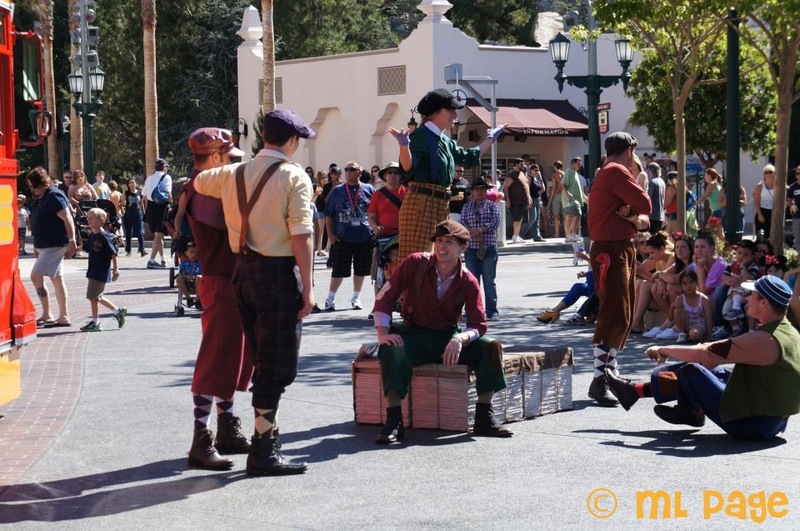 They were just fabulous and California Adventure Park was just popping with bright colors and the Newsies put on such a show! 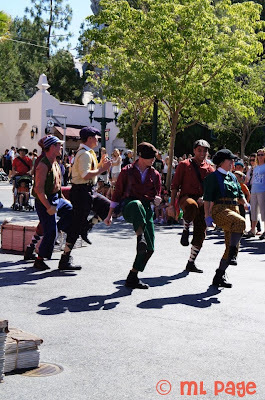 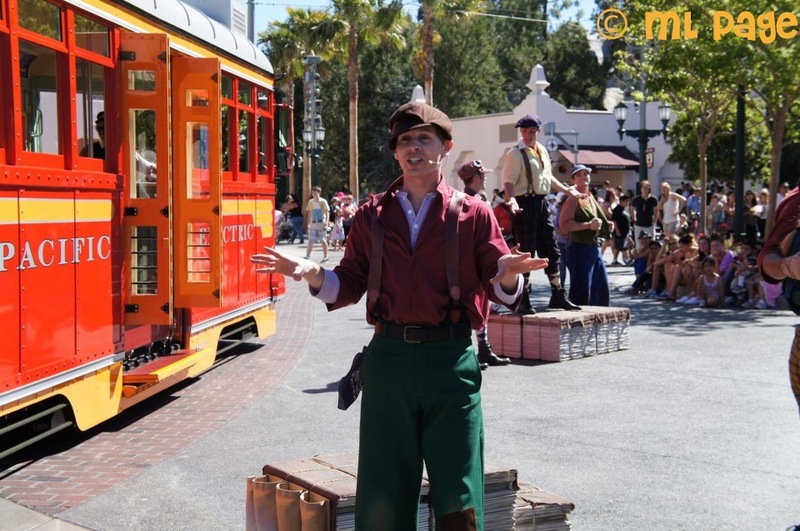 I have been singing one of their songs (and as many of you have seen have been willing Disney to release an updated parks album) ever since I left the show and am just smitten with the cute Newsies who arrived in DCA last month! Don't miss this adorable show (which often features Mickey Mouse himself)!